If you’re a home buyer looking at the National Association of Realtors’ tweet above, it should be all too familiar to you how high the real estate market has gone up. Simply put, homes are in bubble territory. In many cities, the home prices are above the 2006 prices. The great thing about the map above is it shows the states that only experienced a 2% price increase - only Alaska and Connecticut. 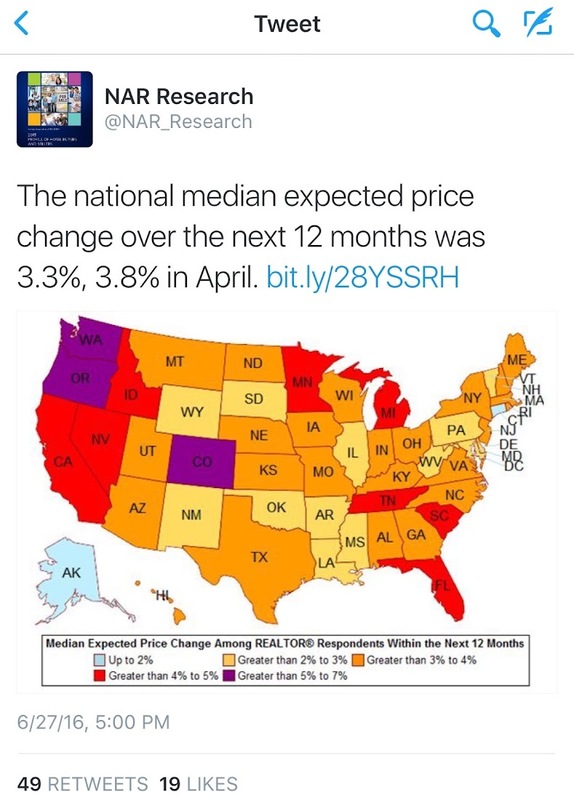 The other 48 states experienced price increases of over 2%. If you live in the red states, that’s unfortunate if you’re a buyer. If you’re in the purple states, the price increases must be unbearable. If you’re feeling the Housing Bubble’s heat, you must be watching the Fed’s interest rate decision on whether to raise the overnight rates or keep it steady. Chronic ultra-low interest rates fuel housing bubbles because you can borrow more money and pay the same monthly payment. However, cheap money caused people to pay more for the same home. Although their debt (Principal) went up by a lot, the monthly payments did not. That’s not really sustainable, and causes the housing bubble we’re in now. To extinguish the Housing Bubble, we need higher interest rates. If all buyers can borrow less for the same monthly payment, sellers would have to adjust their expectation. Otherwise, it becomes more difficult for the seller to find a buyer willing to pay the higher monthly payments due to higher interest rates. A big contributor to mortgage rates is the Fed’s inter-bank overnight loan rate, which sets the baseline rate on loans. In banking, long-term loans have higher interest rates, while short-term loans have lower interest rate. Overnight loans are the shortest short-term loan and have the lowest interest rate (except during recession). When the Fed meets, they decide on how to target that rate. The last increase happened in December 2015. However, this year the rate has been held steady. A key driver in their decision is Inflation. The Fed measured inflation at less than their 2% target. What??? Home prices have gone up over 2% and yet inflation is below 2%? Why? It has to do with how the Fed measures inflation. 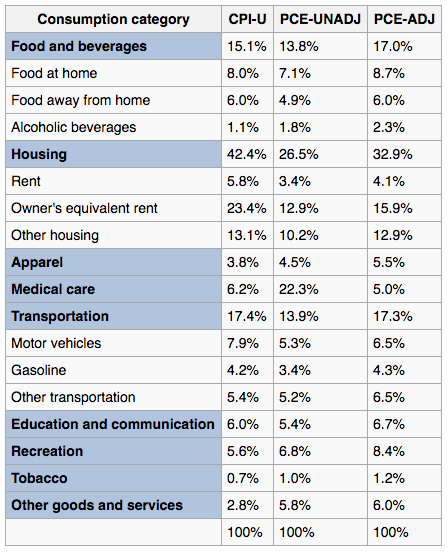 They measure using Personal Consumption Expenditures index, which is a weighted average of items in several categories that are supposedly representative of what a regular consumer buys as part of their living expenses. The table below from Wikipedia shows the PCE component weights. This method measures the rate of change in the amount an owner would need to pay in order to rent on the open market. It is based on actual market rents collected from a sample of renter-occupied housing units that are identified to be representative of owner-occupied housing. Basically, “Owner’s equivalent rent” is how much the home could be rented. Since a lot of cities have rent control, the price increase from rent becomes artificially limited. 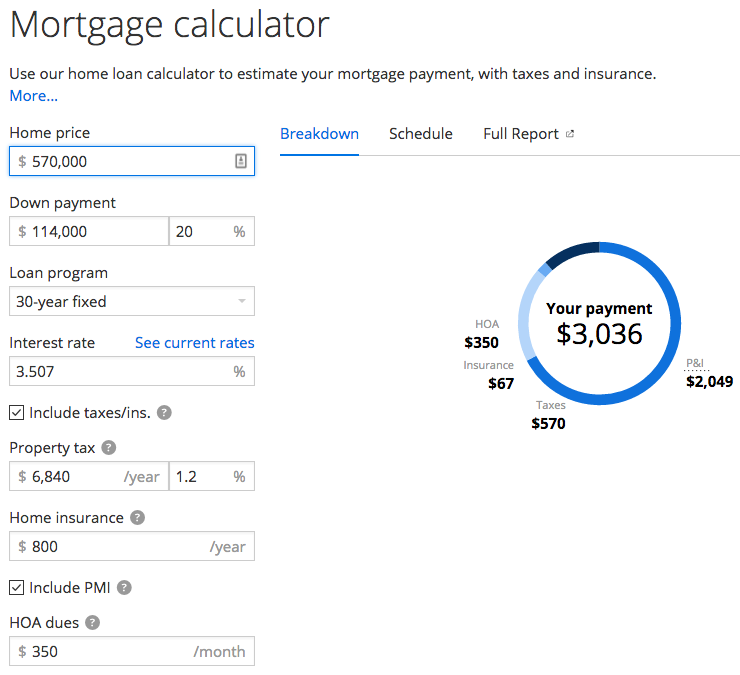 They should have stuck with the PITI (Principal, Interest, Taxes, Insurance) that a homeowner would pay. Because of equivalent rent, Housing Bubbles do not readily show up on the Fed’s inflation figures. As if the Equivalent Rent issue wasn’t enough, remember that the Fed uses PCE to measure inflation. Look carefully at the table’s weights for Equivalent Rent. At most, Owner’s Equivalent Rent takes only a 15.9% weight in the inflation figure. In the above, let’s assume the person has a condo bought for $530k, 20% downpayment, 30 years @3.507%, and $350/mo HOA. Let’s assume it rents for $2,300/mo. Remember that Rent Equivalent is how much the rental market will rent it out for. Since PITI is $2,852, the Rent Equivalent method already under-represents the real cost by $552/mo. Now, let’s say the following year, with rapid price appreciation you bought the same condo for $570k. First, of all, you paid $40k more for the same condo. Second, your PITI went up to $3,036. Third, because of Rent Control (at 5%), that same condo now rents for $2,415. 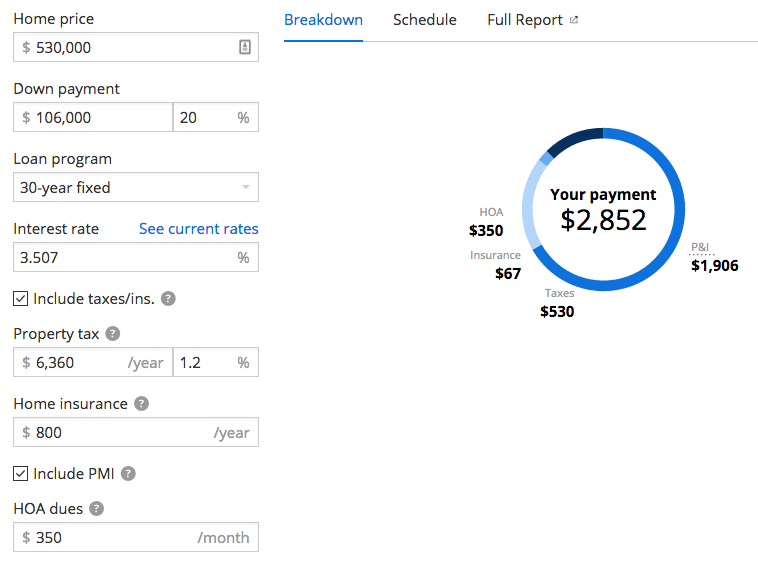 PITI gets under-represented by $621/mo. Now, since Equivalent Rent only went up 5% within the year, to calculate its effect on the weighted average, we perform the following calculation: 5% * 15.9% = 0.795% So, the pathetically understated 5% rent equivalent only added 0.795% to the Fed’s inflation figure. If instead of Rent Equivalent, we use PITI (change of 6.45% in this example): 6.45% *15.9% = 1.026% Using the same weights, PITI increases would’ve contributed 1.025% to the inflation figure. Let’s end with this final calculation. How much more did the PITI method contribute to the inflation figure? 1.026/0.795 = 1.29 (~29%) By using PITI, Home Equivalent calculation would’ve contributed 29% more to the inflation figure, which is more representative of the real housing cost. Most importantly, the Fed would quantitatively detect a housing bubble sooner.